Als je van snowkiten houdt dan kan je 6 december om 18.00 eventjes de tijd nemen om je in te shrijven voor de Redbull Ragnarok race in Noorwegen ... en als de Sint je goedgestemd is dan wordt je ook nog geselcteerd. Vorig jaar waren de 300 plekken in 2 minuten vergeven. Due to the growth of Ragnarok, it has been necessary this year to make certain changes in order to create a better experience for the participants. This allows us to increase the amount of available tickets to make room for more Ragnarok participants, and we can bring everyone together under one roof for an easier, more unified and more social Ragnarok experience. 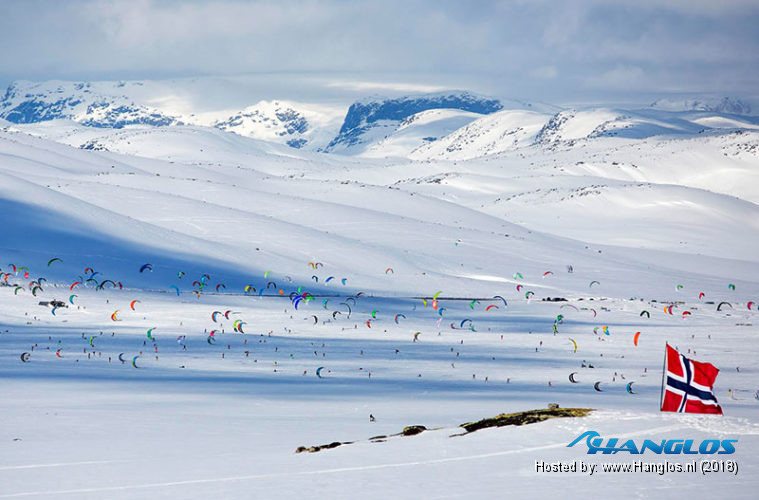 To make this possible, Ragnarok has signed a deal with Ustedalen Resort in Geilo to be the base for all activities outside of the race itself; registration, race meetings, accommodation for all participants, meals, transport to and from race venue, banquet and prize giving ceremony after the competition. The 2019th edition of Red Bull Ragnarok will therefor also be able to expand its available race spots from 300 to 350.